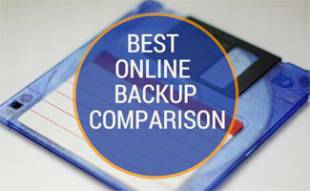 This online backup comparison of Backblaze and CrashPlan will help you determine the right choice for you and your business. First, ask yourself who will be setting it up. If the answer is you, are you a tech savvy person who knows about online backups? The answer to this question could influence your decision about which company is best for you. Find out which company is easier to use and which is more customizable below. CrashPlan and Backblaze have been around for about the same amount of time. CrashPlan, owned by Code42, was founded in 2007. Backblaze was founded a year later in 2008. Starting at relatively the same time, you’d think these companies would be very similar in regards to performance given the amount of time they’ve had to improve their services. Would you guess that the “younger” company is actually the better pick? 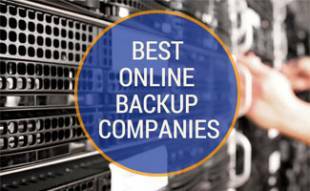 Learn more about these online backup services below. If you’re looking for the best technical support, Backblaze is the winner. CrashPlan offers help via online tickets, live chat and their help community. Backblaze offers more options with their knowledge base, FAQs, support tickets and live chat. You want your software to work when you go to use it, right? No fiddling with setting or restarting your computer. 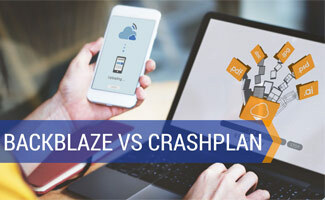 Both Backblaze and CrashPlan work well, but some customers have reported CrashPlan to be a little bit clunky and less smooth when compared to Backblaze. Crashplan users have reported issues with upload and download speeds but since mid-2014 these problems have been resolved. Although CrashPlan issues have been taken care of, we’re more comfortable choosing Backblaze as the winner since it has a history of reliability. We haven’t heard about any hiccups from Backblaze users, so we feel confident selecting them as the winner of this category. Both CrashPlan and Backblaze offer military-grade security at 448-bit encryption. Your files are encrypted more than once before they are stored in the cloud for safe keeping. This is better than the encryption that many banks and online businesses use. Backblaze uses 2048 bit public/private keys, so they are slightly better than CrashPlan. Both Backblaze and CrashPlan offer automatic backups. After you’ve installed them, they will back up your data regularly. Both back up your data similarly. They are tied for how they complete backups. When comparing the restoration process, CrashPlan allows you to do so through the desktop app and the web app, but you are limited to a size of 500MB. Backblaze only lets you restore through the web app, but there are no size restrictions. Backblaze comes out on top for restoration. The interface of Backblaze is a little bit more intuitive. You can kind of figure out what to do and where to click. There are no settings that you need to tweak. Not that you can’t tweak the settings, but it’s not necessary unless you want to change how often it backs up, turn the backups off, etc. Backblaze works well on the default settings. On the other hand, CrashPlan has many settings and is less instinctive than Backblaze. When you first install CrashPlan there are a ton of options you’re faced with — it can be a bit overwhelming if all you want to do is back up your data. By the way, it is necessary to adjust those settings to your specifications. Also, CrashPlan runs on Java and can eat up a lot of your system resources. You may notice your computer performance isn’t as great when you have CrashPlan running. 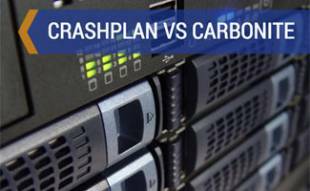 If you have an IT person, you may want to go with CrashPlan because they can personalize the software to your specifications. However, if you just want something basic that you can install and “forget”, Backblaze is the better option. We didn’t include pricing as a key factor for which company to choose because ultimately we think it should be something you look at later on in your research process. However, we understand that pricing is obviously an important factor to consider. Backblaze for Business costs $50/year per computer for unlimited data, while CrashPlan Business costs $120/year per computer ($10/month) for unlimited data. Backblaze is the cheaper option here. The table below shows the features Backblaze and CrashPlan each have. 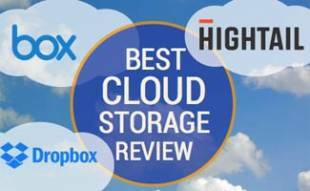 If you want to see how they compare against the best online backup, read this article. If you’re looking for simplicity and don’t want to be overwhelmed with choices — then Backblaze is the online backup for you. Backblaze is dependable and gets you started with cloud backup services instantly. However, if you want more control over your backups and the ability to customize your settings to your specifications — then CrashPlan is what you’re looking for. Overall, Backblaze performs better than CrashPlan but doesn’t have the customizations available that CrashPlan has to offer. Are customizations important to you and your business? Seems like it’s a no brainer to go with Backblaze then, thanks for the review – I was torn between the two but am no longer.